Dr. Aviva Romm is a physician specializing in integrative medicine for women and children, a midwife, an herbalist, an award-winning author, and the creator/owner of WomanWise, on-line courses dedicated to vitality and optimal health for women and children. An internationally respected expert in botanical and integrative medicine for women and children, she has spent nearly 30 years as a health care practitioner and advocate for the health and environmental concerns of women and children. 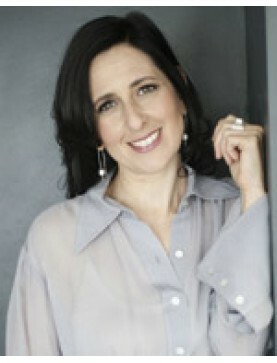 Speaker: Aviva Romm. Hysterectomy can often be prevented by using botanical and other natural t..
Speaker: Aviva Romm. This lecture includes guidelines for determining when and for how long her..
Speaker: Aviva Romm. PCOS is not considered just cyst formation in the ovaries but a complex endocri..
Speaker: Aviva Romm. Presents clinical and research evidence supporting the choice of herbs for..
Speaker: Kerry Bone. A discussion of recent clinical research and practice. Topics includ..
Speaker: Simon Mills. A review of the impact of plant constituents on the kidney, including pos..
Speaker: Aviva Romm. Protocols for common skin complaints: atopic skin disease, eczema, psorias..
Speaker: Aviva Romm. Continues the discussion from Part 1 on boosting childhood immunity and s..
Speaker: Aviva Romm. Boosting childhood immunity and safely treating a variety of common childh..